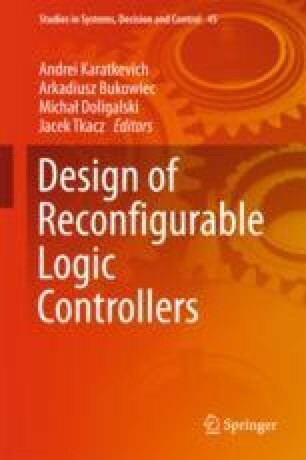 UML activity diagrams in version 2.x can be used as a semi-formal specification technique for logic controller design. The chapter provides various interpretations of activity diagram actions. An action is an elementary indivisible operation in the system which cannot be decomposed. However, it can be treated in different ways—it can be dynamic, state-oriented and with starting and stopping conditions. Each interpretation has its own characteristics and represents another point of view on the designed system.